On October 30, President QIAO Jianyong and Vice-President RenXiaomin met withPresident of Royal Roads University (RRU), Professor Allan Cahoon, and Vice-President of Royal Roads University, Ms.Cyndi Mcleod. 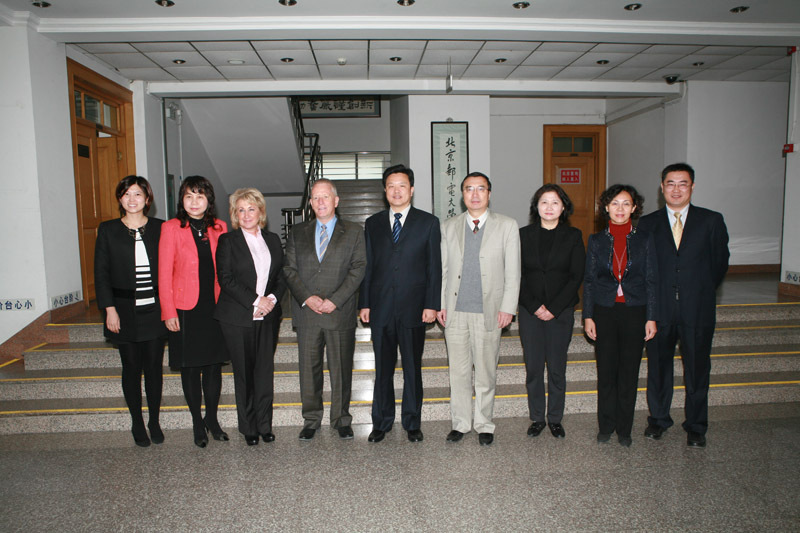 On behalf of BUPT, President QIAO gave a cordial welcome to Professor Cahoon and Ms. Mcleod. He introduced characteristics and future developments of BUPT and looked forward to strengthening cooperation between two the universities in key areas in long term.Professor Cahoon expressed his appreciation for the meeting and spoke highly of the development of BUPT. 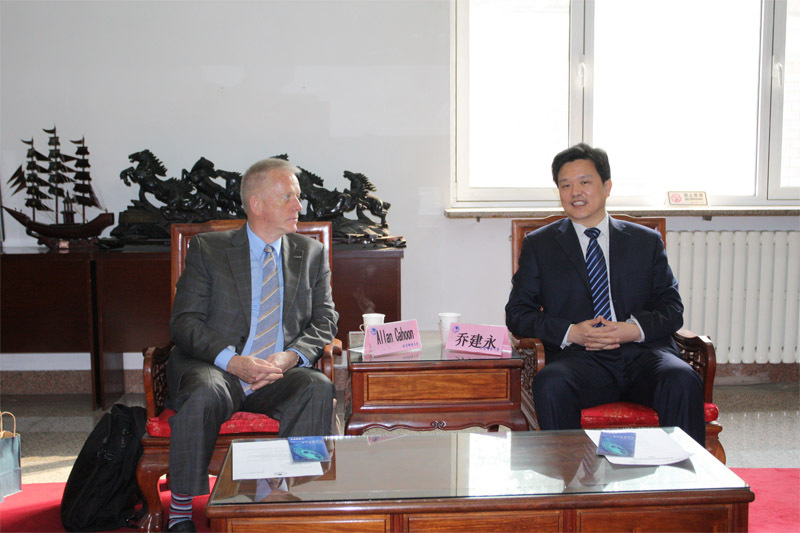 Later, he presented Royal Roads university’s academic structures and major research areas and expected to establish a long-term strategic partnership with BUPT in the near future. 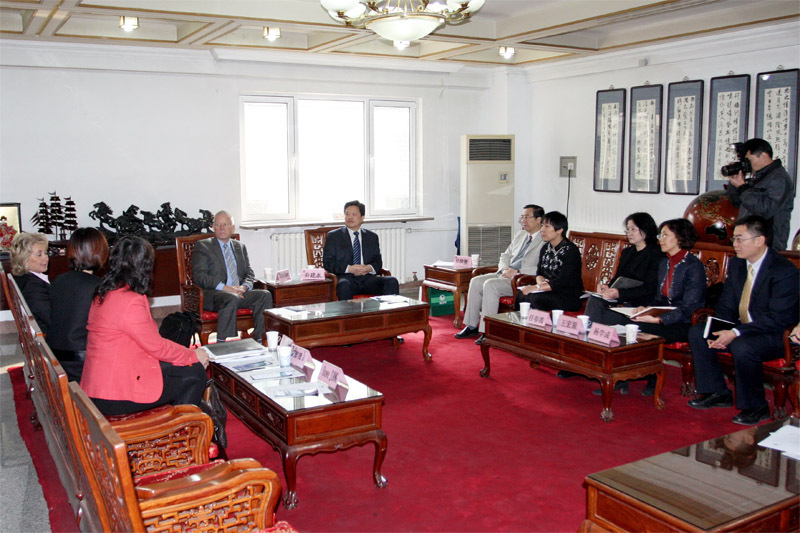 Vice-President REN discussed the earlier stage of the cooperation program with Ms.Mcleodand stated that both universities need to maintain close cooperation in order to meet the fundamental interests on both sides. The delegation members also include Susan Wang, Catherine Ji and Steve Jiang from Coquitlam Board of Education,and Ms. XIN Lingling, Assistant to president and Director of General Office, Ms. REN Chunxia, Director of International Office, Ms. WANG Hongyuan, Party Secretary of International School and Prof. YANG Xuecheng, Director of MBA Center of BUPT also joined the meeting.